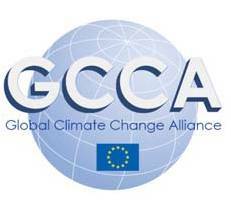 BRUSSELS, Belgium -- The Global Climate Change Alliance (GCCA) Intra-ACP Programme is holding its second regional technical meeting (RTM) on 5, 6 and 7th May 2014 in Brussels at ACP House. The second RTM will build on the momentum generated by a successful first RTM held in Belize in July 2013. It will seek to explore ways to improve the exchange of information, synergies, improve cooperation and coordination among the regions and between the regions and the ACP Secretariat. “ACP countries are experiencing the critical adverse effects of climate change which are already negatively impacting resources including land, water and also food production. It is therefore imperative that immediate actions are taken to protect livelihoods,” stated Achille Bassilekin III, assistant secretary-general, Sustainable Economic Development and Trade Department of the ACP Secretariat. He added that “the GCCA Intra-ACP Programme provides targeted technical assistance, contributing significantly to tackle climate change both at the national and regional level”. The most recent Intergovernmental Panel on Climate Change (IPCC) Report – March 2014 (2) highlighted that “insufficient responses to emerging impacts are already eroding the basis for sustainable development”. Dr Pendo Maro, technical adviser to the ACP Secretariat – GCCA Intra-ACP Programme stressed that “the three-day meeting will bring together practitioners and policy makers from across the ACP regions and beyond, to identify synergies and areas for common action which will complement and strengthen the existing efforts to tackle climate change in ACP countries and regions. The outcomes will also contribute to preparations for the next UNFCCC International Climate Change Conference (COP20) in Lima, Peru”. Participants to the second RTM will include high profile representatives of the regional components’ organizations, ACP embassies and missions in Brussels, climate change related programmes being implemented by the ACP Secretariat, the European Union, ACP partner organisations in Brussels, representatives from civil society and the private sector.